Accelerate your child’s learning at Gilmour Academy, where rigorous academics meet a world-class learning environment. As part of our commitment to fostering extensive hands-on learning, we’ve invested in best-in-class labs and facilities, where our students can put education into action. 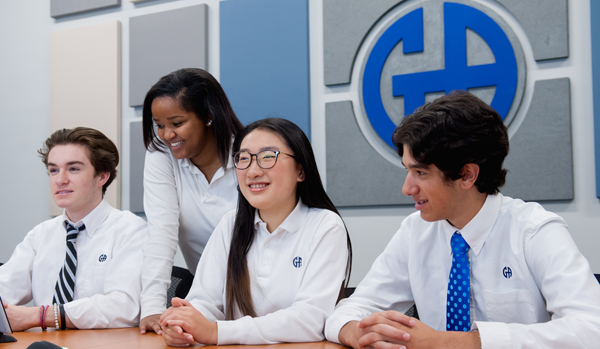 More than a few of these spaces are unparalleled in the region, but every one is designed to support and enrich the Gilmour educational experience as they deeply engage student interest and inspire a lifelong passion for learning. 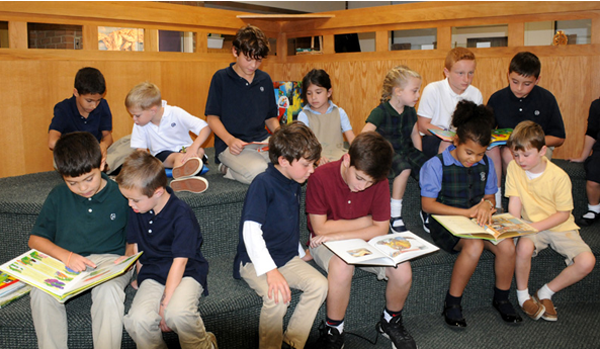 The Upper School library is a center for research and tutoring, with robust hard copy and electronic resources, including access to select ABC-CLIO databases, which, in total, contain more than a million online textbooks. Library Hours: Monday-Friday 7:30 a.m.-4 p.m. Please visit the library website or contact Lynn Hammond for more information. Housed in the Thomas More Library, labs are staffed by faculty throughout study hall periods for tutoring and homework help. All Gilmour teachers also maintain office hours until 4 p.m. for after-school assistance. 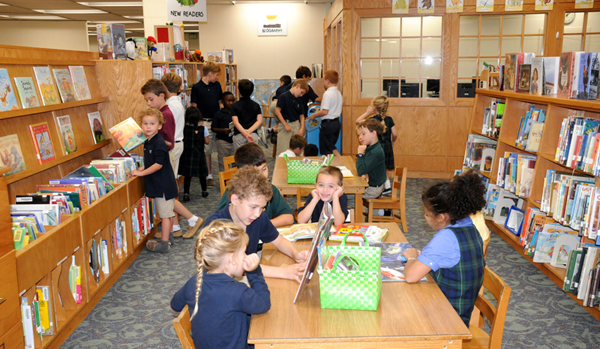 The Lower School library is a colorful, fun and engaging environment designed to immerse students in the joy of learning, with soft spaces for uninterrupted reading, visiting author events, student-selected book awards and an attached 20-unit computer lab. Library Hours: Monday-Friday 8 a.m.-4 p.m.
For more information, visit the library website or contact Lynn Hammond. The only facility of its kind in a secondary school statewide, Gilmour Academy’s DNA and Genetics Research Lab offers the opportunity for authentic, in-house research internships—in which students contribute to the field of study with original discoveries of new knowledge—and hands-on experience using state-of-the-art equipment. Lab open to students enrolled in Forensic Science or Molecular Genetics Research courses, or by permission of the department. 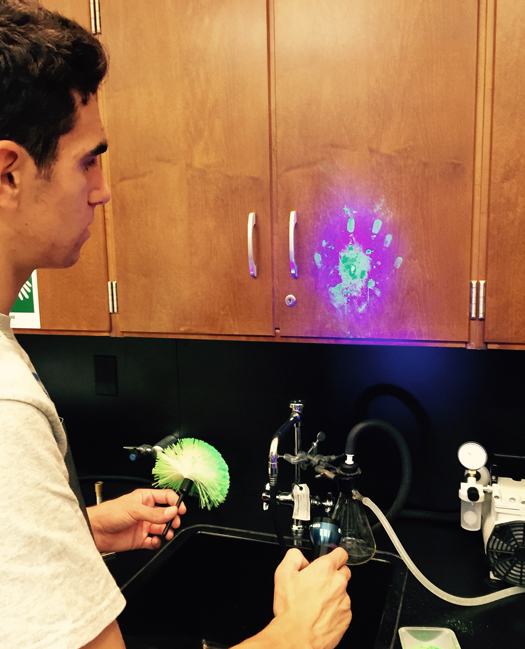 For more information, contact Edward Turk, instructor in science. The Gilmour Academy Fab Lab offers a space for aspiring engineers to try out industry-standard machinery such as CDC routers, 3D printers, vinyl cutters and more. For more information, contact Matthew Vanek, instructional technologist. 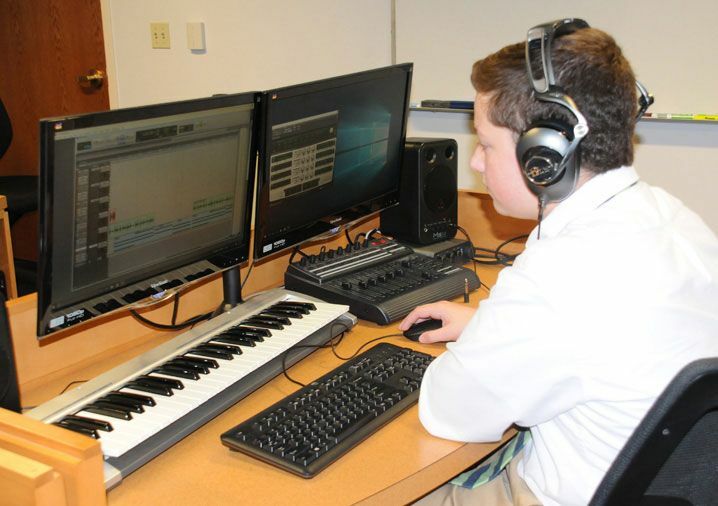 Among the best in the state in terms of facility design, equipment and availability, Gilmour Academy’s digital music studio is completely upgraded every four years, offering students a rare opportunity to learn the tools and software used by music producers and sound engineering professionals. 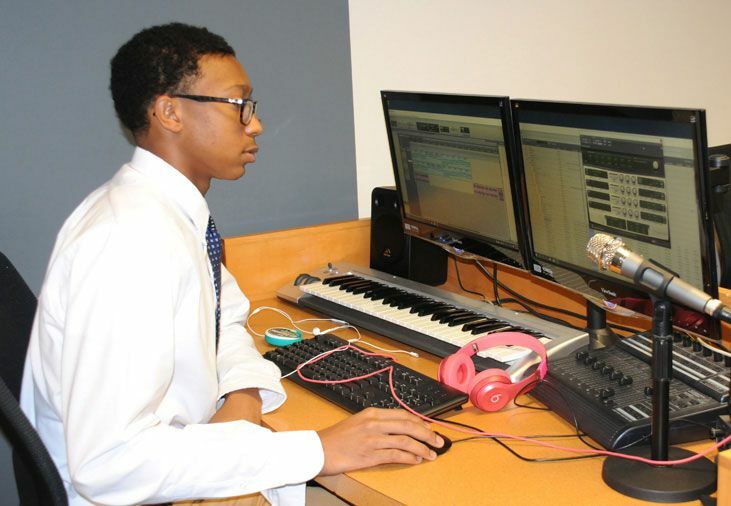 Studio open to students enrolled in Digital Music I/II or Audio Engineering, or by permission of the department. For more information, contact David Kilkenney, instructor in fine arts. 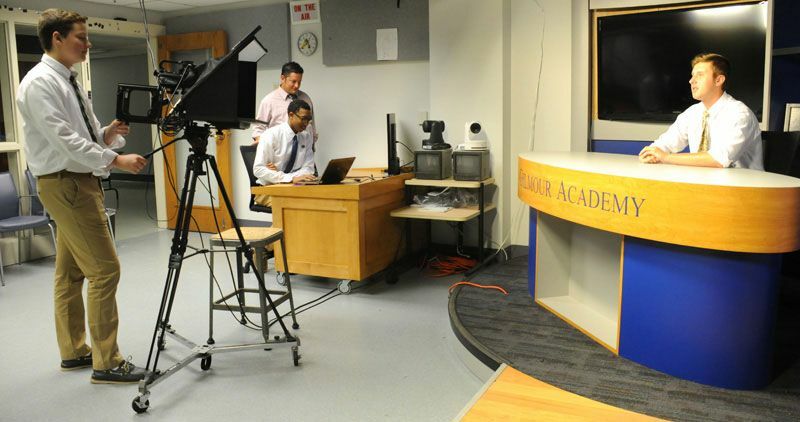 Students interested in broadcast journalism, including radio and television reporting and film production, receive hands-on training on industry-standard equipment. Previous students have even used studio equipment and acquired skills to launch a real video production business, Eternally Yours. Studio open to students enrolled in Audiovisual Production I-IV, or by permission of the department. Gilmour Academy’s computer science lab is equipped with the latest generation desktop computers loaded with best-in-class development tools and accessories. Here, students learn not only programming and digital design skills, but also agile software development, video game design, version control, information security and robotics and engineering automation. Lab open to students enrolled in Computer Science I/II, AP Computer Science A, Digital Art and more, or by permission of the department. For more information, contact Daniel Adiletta, coordinator of educational technology, instructor in computer science. Our state-of-the-art teleconferencing room offers segmented space for virtual conferencing, interviews and more, outfitted with the latest communication technologies and supported for seamless, interruption-free productivity. For more information, contact Greg Nagle. 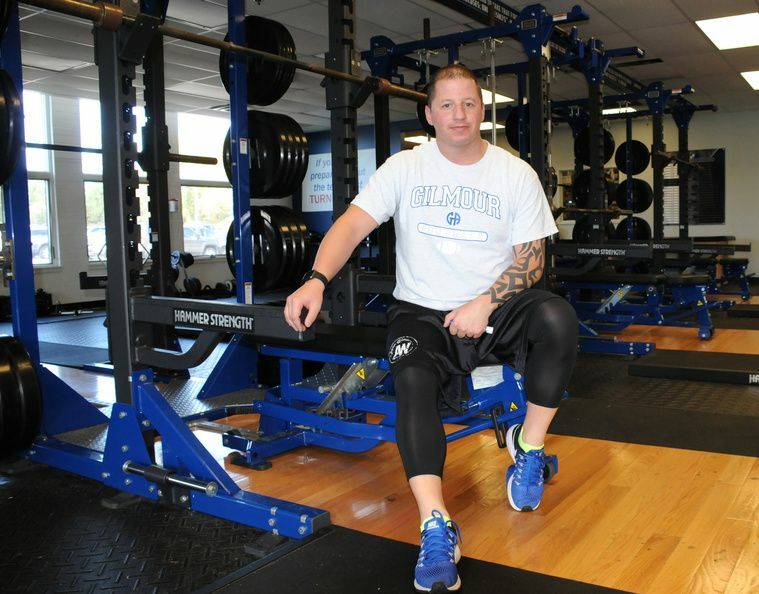 With one of the only full-time, in-house athletic trainers in the state, students interested in pursuing a career in sports medicine—or student-athletes requiring mild to moderate medical attention—don’t need to leave campus to experience the latest techniques for injury recovery and performance enhancement techniques. Facility open during school hours and select after-hours events. Features: Equipment includes but is not limited to electro stimulation, ultrasound, hydrotherapy, and ice and compression units. Faculty trainers hold advanced degrees and certifications in sports medicine. For more information, contact Kara Dolling, head athletic trainer. Gilmour Academy has several spaces utilized for the study and display/performance of fine arts. However, plans are in development for the forthcoming Lorraine and Bill Dodero Center for the Performing Arts, a brand-new, multimillion-dollar facility made possible by a generous private donation. Current facility hours and availability vary. For more information, contact David Kilkenney, Gay Janis or Susan Southard. Visit the Lorraine & Bill Dodero Center for the Performing Arts web page for details. 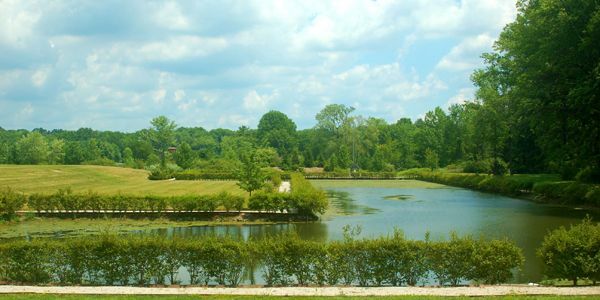 Gilmour Academy’s 144-acre campus provides ample opportunities to immerse in the natural world. Students at all grade levels will participate in a variety of activities that will expand their awareness, understanding and appreciation of the natural attributes of their surroundings at the school and beyond. The newest project underway will add a greenhouse, apiary and a variety of gardens that will serve academic, interdisciplinary and social responsibility purposes. Lower School classroom gardeners will grow starter plants for the Giving Garden, manage the habitat for local pollinators, including bees and monarch butterflies, and create solutions for low-lying wet areas around campus with rain gardens. Upper School students will run the “Giving Garden,” which will grow fresh vegetables to be donated to local food pantries to help alleviate food deserts in Cleveland. Twelve raised beds and six elevated planters will engage students in out-of-the-box, hands-on learning through interdisciplinary-minded plantings (e.g. dyes for art and Three Sisters for history), scientific investigation opportunities and potential research collaborations with local institutions. A brand new greenhouse and multipurpose classroom building will be nestled near the Lower School, providing a variety of garden services: space for planting starters for the Giving Garden and experimental and research space for all grades. The multipurpose building will house garden tools as well as areas for the cleaning and preparation of vegetables to be distributed. A mature beech maple forest laced with edge habitats, ponds and a variety of gardens will provide the palette for naturally interdisciplinary outdoor learning on Gilmour’s 144-acre campus. Blooming wildflowers, slippery salamanders, singing birds, burnished fall leaves and glittering snowflakes will march us through a year of wonder and discovery. A place to gather, learn, contemplate and connect with our natural habitat, the amphitheater will nestle peacefully and invitingly at the eastern edge of St. Mary’s Lake. 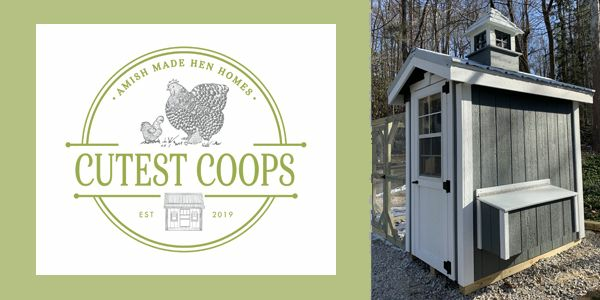 Chicken Coop, a.k.a. "Gilmour's Girls"
Another Cedar Hill Farm Project, students at the Lower School will tend to “Gilmour’s Girls” (a coop of hens), with the hope of gathering eggs and perhaps learning a bit about animal husbandry. Gilmour Middle School Students will be responsible for the apiary. Three busy hives will provide pollinators for the Giving Garden and beyond, as well as golden honey for everyone's enjoyment. 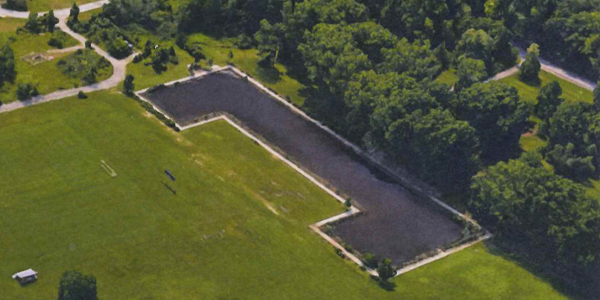 St. Mary’s acre of life-sustaining water and a smaller pond at the Lower School provide the opportunity to investigate the microscopic plant and animal life indigenous to lakes and ponds. Pond, stream and lake study rounds out the concept of watersheds as we extrapolate learning on campus to life on the edge of the Great Lakes.